Growing up in the 21st century within a capitalist culture is challenging for one to fully grasp the teachings of the Bible. Take for example the concept of salvation. Is salvation a commodity to be exchanged or a relationship to be experienced? There are those who believe that upon repentance one receives salvation. We exchange our repentance for a one-way ticket to heaven. Then there are those who believe that salvation occurred approximately 2,000 years ago upon Jesus’ death, resurrection, and ascension. That upon accepting the reality of who Jesus is, we begin to experience the fruit of salvation. I lean towards the second view. When we view salvation as a byproduct of our effort, we are treating salvation as a commodity. However, when we view salvation as an engagement, than we are treating salvation as a relationship. The apostle Paul used the analogy of being engaged to Jesus Christ. In Paul’s time it was the man who selected his wife-to-be. He would work out the arrangement with the woman’s father. If the father approved, he gave his daughter to him. In a sense, the woman would wake up and discover who her husband is to be. She didn’t choose her husband. It wasn’t a decision she made. She simply acknowledged the reality that she was engaged to be married. Thereafter, she focuses herself in accepting the relationship of her husband-to-be and accordingly changed her thinking and behavior to that reality. 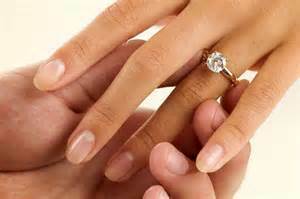 Salvation is likewise an engagement in a marriage relationship from a 1st century woman’s perspective. What saves us is not our decision. What saves us is Jesus Christ who became engaged to us before we even accepted that reality. When we wake up from our spiritual sleep, accept that reality, then we begin to experience the fruit of salvation. Otherwise, if salvation is a business transaction, a commodity that we acquire, then it has the weak link of a human decision. We will always doubt our level of repentance, faith, trust, or works. Or in other words, how good is good enough. When I beheld salvation as a relationship and no longer a commodity is when the fruit of God became more active and the heart of God became more intense within my very soul. I for one am very thankful that Jesus Christ re-opened the door for us to have a relationship with Him, His Father, and His Spirit: The Triune God. How about you?